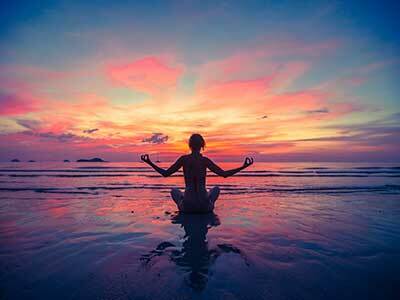 Your spiritual practice is key to finding the path to enlightenment, and starting every day in the right way is important to your development as a yogi. After setting up your space to your liking and getting grounded in your intentions for the day, start with the following Humming Bee yogi practice to begin your spiritual journey towards inner peace. 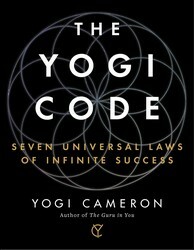 Learn more about the Yogi Code in The Yogi Code: Seven Universal Laws of Infinite Success. This practice involves the closing off of our senses so we can experience what it is like when our mind is not influenced by them. As you will see, the mind will start to be filled with more peace and fewer preoccupations. The special part of the practice is a humming noise, which vibrates in the ears, mouth, eyes, and nose and is calming to the mind. It can also bring emotions to the surface, but in a quiet and controlled way. • To start the practice, sit in a comfortable seated posture so you are very stable and your back is straight. • Now bring your arms up, open the elbows outward, and put your index finger into your ears. Don’t press your fingers in too hard, but also not too lightly. • Keep the mouth and lips closed, with the teeth slightly apart. Inhale very slowly through the nostrils. • Exhale through the nose while making a long, even, and steady humming noise. Don’t force the breath, but do it smoothly. Rest your arms between each round if they become tired; otherwise, do the rounds consecutively. • Sit quietly for a moment and see how the practice affects your mind. Take your yogi practice off the yoga mat and turn negativity into positivity in your daily life.